I've seen a couple comments on line lately from people who seemed to think everyone uses natural gas to heat their homes. Natural gas is actually the most common home heating fuel source. But there are still a lot of people in the nation who use other fuels. Electricity is actually quite common in some regions as well as for rentals. The specific data is in table 2-5 for fuels. I combined the smallest categories into an 'others' group. 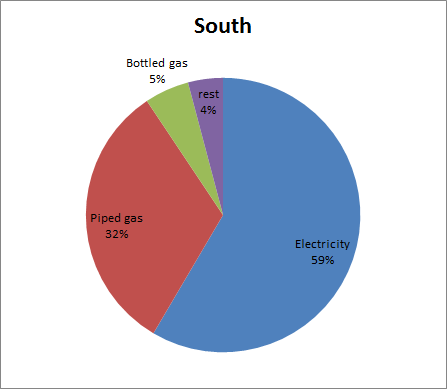 The 'others' listed above includes kerosene, coal or coke, solar and other. 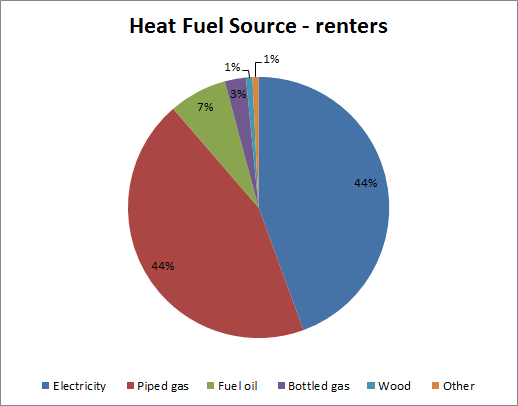 Natural gas is indeed the #1 form of home heat. However its still only barely over half the homes and the other half are heated by electricity and other sources of heat. The mix for owner occupied homes looks similar to the larger picture. There are also pretty big differences between different regions of the country. 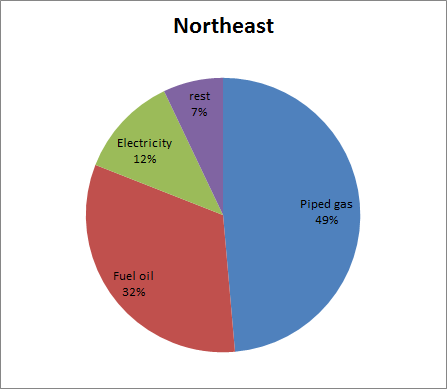 For each of the four major regions of the country I chart below the top 3 heat sources as well as the % heated by less popular energy. The Midwest and West look similar to one another. 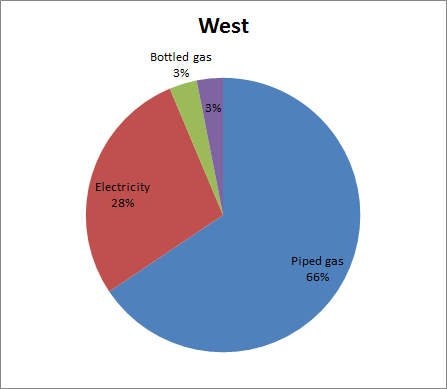 The pattern is closer to the national average but natural gas is even more popular out West.